There's something almost eerie about the way the inter-county GAA season has suddenly disappeared. One minute we're enjoying the emotional high of Mayo's Allianz League final win and admiring the excellence of Limerick in its hurling counterpart. The next, everything goes into cold storage. 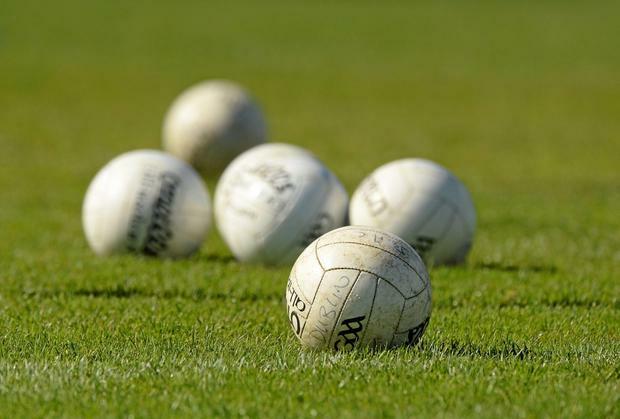 The interregnum is in the service of an April 'devoted entirely to club activity', the GAA's solution to the problem of a lack of club games during the inter-county season. Yet nothing very significant will happen at club level this month. What senior championship matches do take place will be largely of the group stage or back door variety and there won't be many of them. For example, last year April saw an entire first round of Cork senior football championship games played. Yet the winners of those games did not play another match until September, and this in a year when Cork's footballers were knocked out on July 7. Club April makes very little difference to clubs but it does take the momentum from the inter-county scene. You can practically hear the air coming out of the balloon. After leagues which were more than usually competitive and interesting, everyone now has to sit in the waiting room, reading out-of-date car and fashion magazines until their turn is called. It's a waste of a month, not least because it doesn't address the main complaint of club players, which is long stretches of time without games in the summer and everything being decided in an unseemly blitz of fixtures once the inter-county action ends. The current break is a compromise which pleases nobody. Surely it would be better to see teams which have shaken off the close-season rust as the league wore on go straight into championship action. Instead it will be June 1, a gap of almost two months, before Kerry play again. Mayo will go to New York on May 5 but this is the very definition of a Mickey Mouse match. Their first proper outing will be when they host either Roscommon or Leitrim on May 25. On past evidence the lack of competitive games will mean both Kerry and Mayo will be below their best, though they should both be good enough to win. Should Mayo win they'll face a Connacht final three weeks later, which means they'll play three games in seven weeks. That's in comparison to the seven games in nine weeks which every team fulfilled in the National League. The elongated nature of the provincial championships is one reason why its early stages lack any kind of bite. As they meander their way along there's a feeling of time being marked, whereas in the league the games are coming thick and fast, with chances for redemption and consolidation abounding. If you take the early season competitions into account we're now half-way through the inter-county football season, yet the feeling is that the serious stuff hasn't begun. But what kind of season is it when most teams will play more games in the minor competition than the major one? It's like clubs playing more FA Cup than Premier League games. There's a lot of talk about the 'meaningless' nature of championship games between strong and weak teams. Yet the whole schedule is riddled with meaninglessness. The current halt makes no sense, neither does the ratio of training to games played or of league to championship games. There's an unbalanced feeling about it all. Hurling's new structure is perfect. But it's easy to get planning right when barely a dozen teams can even dream of competing at the top level. Overhauling football will be more difficult but will have to be done. For starters, Croke Park will somehow have to integrate the league and the championship. Or even take the bold step of wondering if we really two competitions at all when counties spend more time warming up for the main event than they do playing in it. It's also time for there to be two distinct club and county seasons. It might not be ideal to start club championships in February and end them in May, but it would be better for players than the current uncertain situation. Like all acts of lip service, Club April merely exposes the confused thinking which underpins it.